…pation. Welcome back, here are final games I am most looking forward to getting my grubby hands on this year. I promised six more selections in last week’s post, but well, I cannot count, so here are five more. Sorry. Pillars of Eternity is a Kickstarted cRPG from Obsidian Entertainment, the studio behind classic such as Star Wars: Knights of the Old Republic 2, Fallout New Vegas and more recently South Park: The Stick of Truth. 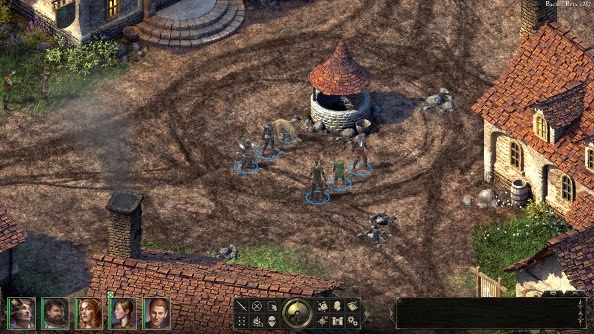 PoE is their effort to bring RPGs back to the golden days of Baldur’s Gate, Icewind Dale and Planescape: Torment. Think of it as a spiritual successor to those game. Between this and Placescape: Tides of Numenera which will mostly likely get push to 2016 (thus not on this list), old school RPGing is back in a big way. Pillars of Eternity will release on March 26, 2015 for PC, Mac and Linux. So I don’t have a Wii U. That doesn't make me wish I did and crave the games coming out for it. Sure, third party support of the Wii U is nonexistent. But who cares when Nintendo is making games for it? In all honesty, when you look at the three consoles, the Wii U has the clear advantage when it comes to exclusive games. 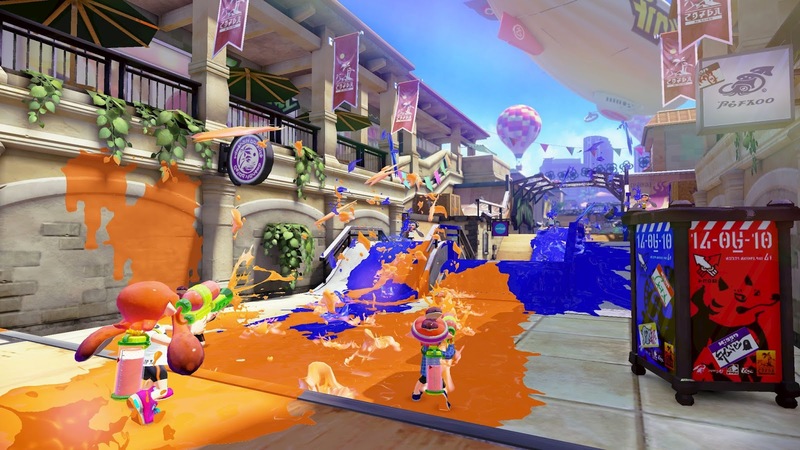 So in comes a new IP with Splatoon, a multiplayers shooter. Wait what? A multiplayer shooter from Nintendo? Kinda. In Slatoon you run around with a paint gun spraying paint all over the place. The team which has covered the flood with the most paint by the end of the round wins. And you can turn into a squid and swim through you own paint, because Nintendo. It looks like pure fun. Splatoon is due in May. I know, I don’t even have a Wii U, how can I be excited for this game? There are just some games I’m happy exist, even if I never play them. 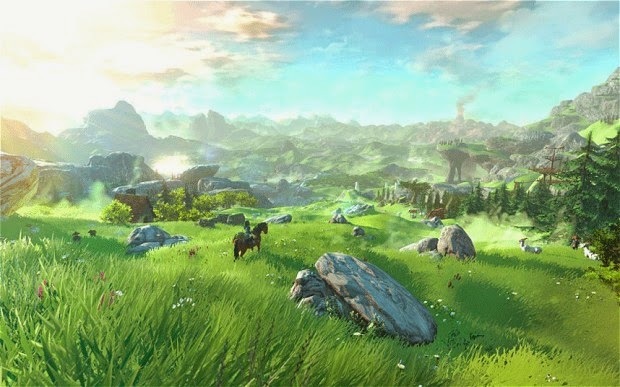 This Legend of Zelda game for the Wii U and is still early enough in development it doesn’t have an official title, but word is it will come out in 2015. Something about Nintendo is just awesome. It’s an intangible thing. For instance, during the first game play video for this game, the developers showed Link on his horse shooting at enemies with a bow. Nothing unusually here. Then they mentioned that no matter how hard you try, you cannot steer the horse into a tree, because a real horse wouldn’t run into a tree. I had to pause for a moment. For all my gaming life, horses handled basically like cars. No gamers ever questioned it, why wouldn’t they go where you want them to? Not only does this make perfect sense, but now that your horse is cruise control for cool, you’re free to shoot your bow without worrying about running into stuff. Brilliant. A few years ago a game named Superbrothers: Sword and Sworcery Ep was released on the iPad. I even worte about it here. It eventually made it way to Steam as well. What an amazingly atmospheric game. The music was what really did it. So when I heard that Capybara, the makers of S&S were teaming up with Jim Guthrie, the man behind the music of S&S to make Below, I was sold. Below looks to be a top down perspective adventure game with roguelike elements and a very Dark Souls feel as well. The art looks fantastic, but I’m most looking forward to the music. Below is set to release sometime this year for PC and Xbox One.